Data Provisioning includes everything from acquiring a targeted list from us, to licensing key sections of our database, or even database licensing solutions with respect to our master file. You also have data enhancement options available monthly and quarterly, which implies you don’t have to worry about data licensing. 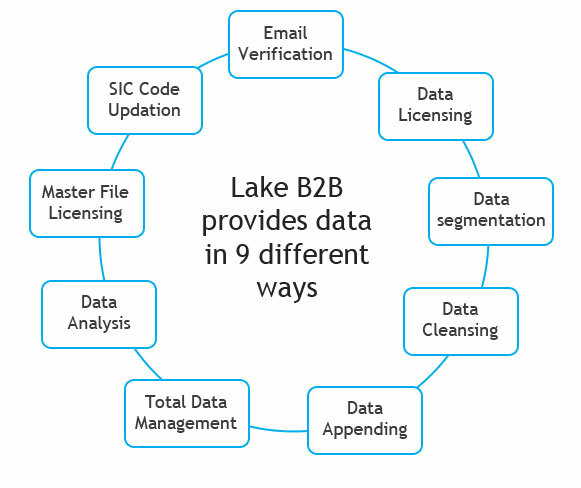 Our master B2B file is segmented by industries/SICs, job titles, size of business, and geography. Record layouts include all contact information and company fields – email addresses, website URLs, employee numbers, revenues, and other assorted details. For engaging the contemporary way, we let you use updated social media handles in contacts as well.